Preludium, Anglican and Episcopal futures: A Very Good Sermon for the Very Last Week (and Day) of the Year. A Very Good Sermon for the Very Last Week (and Day) of the Year. The Rev. 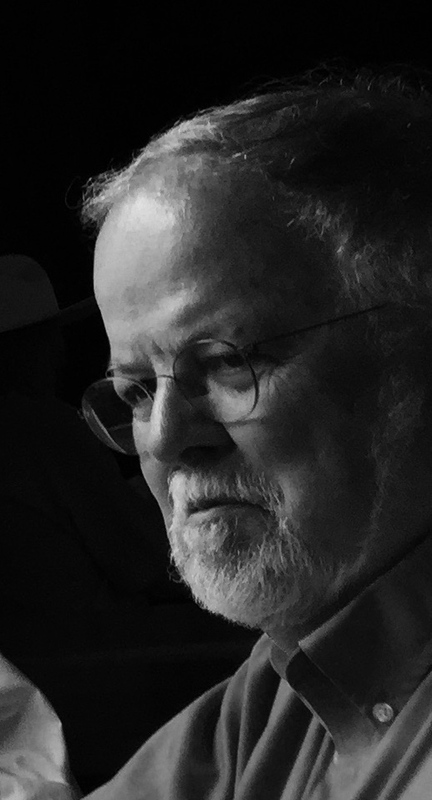 Jim Friedrich, theologian, storyteller, singer, writer, film maker, and preacher, and good friend, sent me this sermon preached by him last Sunday, Christ the King Sunday. It is a wonderful closing of the Year sermon and a real "people get ready" call. Read it. Inwardly digest. Be fed. Get ready, if you can, for the Advent, which by my reckoning means lots more than we imagine. Today is the last Sunday of the Christian year. The great cycle of feasts and seasons, which began 52 weeks ago on the first Sunday of Advent, ends with a grand finale called the Feast of Christ the King, where we stand for a moment at the end of history and see how all the loose threads of time are gathered up, and the pattern and purpose of the universe are revealed at last in the beauty of Christ, in whom all things are restored and fulfilled. God has rescued us from the power of darkness and transferred us into the kingdom of God’s beloved Christ… [in whom] all the fullness of God was pleased to dwell, and through whom God was delighted to reconcile all things to the mystery of divine love. If we can get past our linguistic issues - “crown him Lord of all,” “King of Kings and Lord of lords” – and if we can set aside our democratic antipathy to the archaic imagery of kingship itself, which we left behind in 1776, there is still a great truth to be celebrated here. The observance of Christ the King was created by Pope Pius XI in 1925, and it made its way into the Anglican calendar as well. The pope was responding to the apocalyptic violence of World War I, where evil and madness seemed to have seized control of the world. He wanted to establish a clear reminder that it is Christ to whom the future belongs; that it is Christ, and Christ only, that we must follow and serve. There is a wonderful film called Son of Man, in which the story of Jesus is depicted by South African actors, in a 21st century African setting. It begins in the desert, with Jesus and Satan sitting side by side on the top of a tall sand dune. And there Satan offers Jesus the familiar temptations: use your power, dazzle the world, bow down to me and I will give you everything you desire. Satan comes to a stop at the foot of the dune. He picks himself up and looks back defiantly at Jesus. “No,” he cries. “It’s my world!” And then we cut to a village in the middle of a civil war, where terrible atrocities are taking place, proving Satan’s point. It’s his world after all. As Christians, we profess hope in divine purpose, but the madness and violence and stupidity of history sometimes tempt us to concede the field to the powers of darkness. Many of us remember how 50 years ago, in the nation’s capitol, Americans dreamed together how God’s kingdom might come in the form of justice and love. Stirred by the words of Dr. King, we tasted the truth of that vision. Three months later, Satan offered his rebuttal in Dallas. Whose world is it? we wondered. Are we in God’s dream, or Satan’s nightmare? He’d let that sink in as everyone thought about it for a moment. Then he’d say, “The biggest lie told in America today is: ‘Jesus is Lord.’” Old Clarence came to mind when I heard a story on the news recently. It seems the Ohio legislature, hoping to derail the Affordable Care Act, blocked an expansion of Medicaid that would provide health care to 275,000 people who had no coverage. But the governor, John Kasich (a Republican, by the way), made an end run around the legislature and got it done anyway. So who’s it going to be? Whom do we serve? Who or what is the ruler of our life? Who is the ruler of history? To whom do we belong? To what do we surrender? In this age of hyper-individualism, the idea of submission to a larger reality, a greater good, goes against the grain. But we’re all governed by something, maybe even a whole crazy stampeding herd of somethings, pulling us here, driving us there. Whether we are conscious of it or not, there are voices, both internal and external, which direct and rule our hearts in every moment. Drop everything, and follow me. Over the years, many have done so. surrendering his heart in prayer and holy work, until he died at the age of 105. Few of us are ready for such total surrender to the call. We give a bit of ourselves, part of the time. Jesus gets Sunday mornings, but does he get the working week? He gets our spiritual life, but does he get our worldly affairs? Does he get our relationships, or our stewardship of time? Does Jesus get our politics, our economics? That’s our story too, of course. There’s always something that gives us pause in the gospel. But it’s probably not the wine we have trouble with when it comes to following Jesus. But Jesus gets that about us. And still, he never gives up on us. He knows we can do it. In our Book of Common Prayer, each morning is begun as an act of surrender to divine governance that will carry us through rest of the day. O God… to know you is eternal life, and to serve you is perfect freedom… We humbly pray you so to guide and govern us by your Holy Spirit, that in all the cares and occupations of our life we may not forget you, but may remember that we are ever walking in your sight… in all we do, direct and rule our hearts to the fulfilling of your purpose… that, having done your will with cheerfulness during the day, we may, when night comes, rejoice to give you thanks. Through Jesus Christ our Lord. Amen. We do not always remember that we live and move and have our being in the divine reality. Humans are such forgetful creatures. So we need attentive practices to encourage awareness of God’s guiding, loving presence in our hearts, our minds, our bodies. God is never absent, but we often are. But it’s not just about feeling spiritual or centered within ourselves. The heart, crucial as it is, is too small a kingdom for Jesus. Frederick Denison Maurice, a nineteenth century English priest and social reformer, did a lot of thinking about what he called the “kingdom of Christ,” whose reign extends far beyond the private self. In other words, “crown Christ Lord of all.” The whole shebang. But today’s gospel is hardly the picture of a mighty ruler before whom the whole world kneels. A naked man nailed to a tree. The sign above his head – “King of the Jews” – dripping with irony. His only apparent subject the dying thief hanging next to him. We still stand in the place of The Skull, wondering about kingdom come. Does Christ’s kingdom exist only in the future? Or is it somehow breaking in upon us here and now? If, as Jesus said, the kingdom is among us, what does it look like? And how can we find the eyes to see and the ears to hear? There is no single answer, no definitive answer, to such questions. They have been with us since Good Friday, and they will continue to unsettle the life of faith – and rightly so. How and where does your own life make the rule of Christ visible - in the choices you make, your arrangement of priorities, your stewardship of time, talent and treasure? How does your habitual way of being, your very character, make it clear that you have been shaped and formed by the story and person of Jesus Christ, that you have been marked as Christ’s own forever? When the world looks at you, when friends and strangers look at you, do they see something that makes them wonder what your secret is, why you are the way you are? To illustrate what I’m asking here, let me tell you about another movie, a feature my father made in 1938 called The Great Commandment. The title, of course, refers to Jesus’ summary of the law: Love God with all your heart and mind and strength, and love your neighbor as yourself. The movie tells the story of Joel, a Jewish revolutionary Zealot dedicated to the overthrow of Roman rule in first-century Palestine. And one day Joel comes across a wounded Roman centurion, his natural enemy, who in fact has killed his own brother. What an opportunity. Killing him would be the perfect combination of revolution and revenge. The centurion stares at Joel for a moment. Then he looks up at the tip of his spear. “Jesus of Nazareth! This very day, I thrust this spear into his side.” And he throws his spear to the ground. Has anyone ever asked you the question “why?” – to which the answer was “because of Jesus”? Well, of course it’s not about showing the world anything. (Hey world, watch me shine!) That would simply invite the sin of pride. Love God, love people, love the earth, with everything that is in you. When we do that, the kingdom comes, the kingdom takes place, the kingdom becomes visible, the kingdom is here. The question we began with – just whose world is it? – is undecidable within the flux of history. You can’t choose on the basis of the evidence, because for the time being the evidence is mixed, like the wheat and the tares. But you can choose who’s got the better story – Jesus or Satan. You can choose which story you want to belong to, which story gives life instead of death.